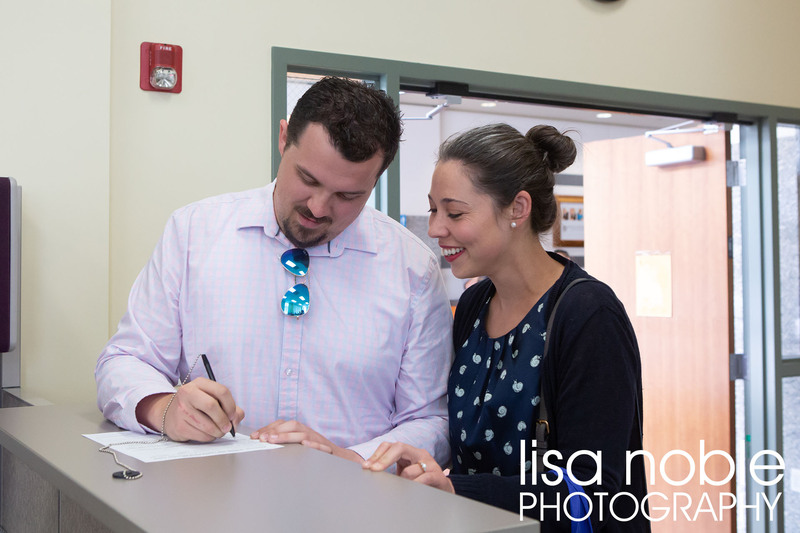 We scheduled the engagement session for this couple on the same day that they got their marriage license from the city clerk’s office in Oakland. 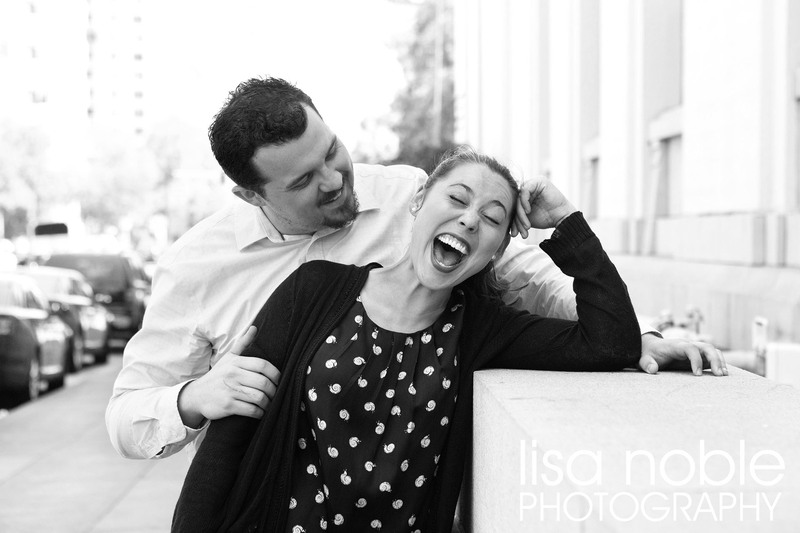 We had a blast documenting their getting a license (and even had a few good laughs along the way!). 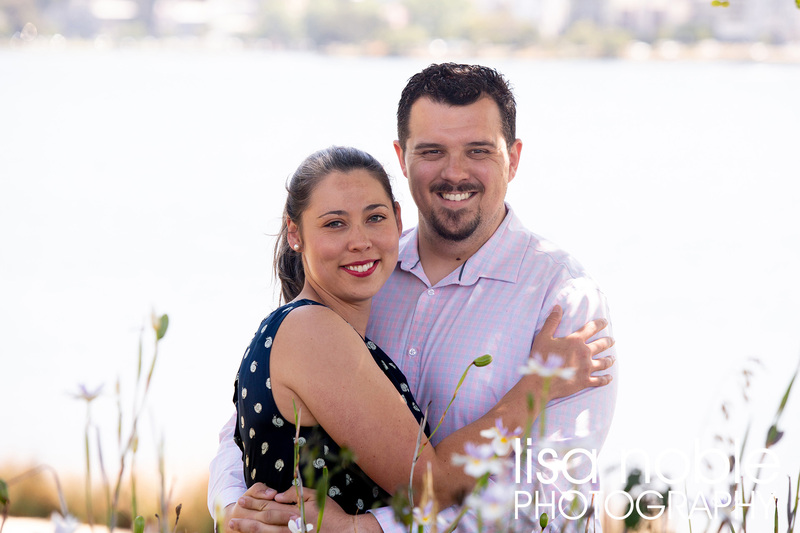 After they received their license we headed over to Lake Merritt for engagement photos. 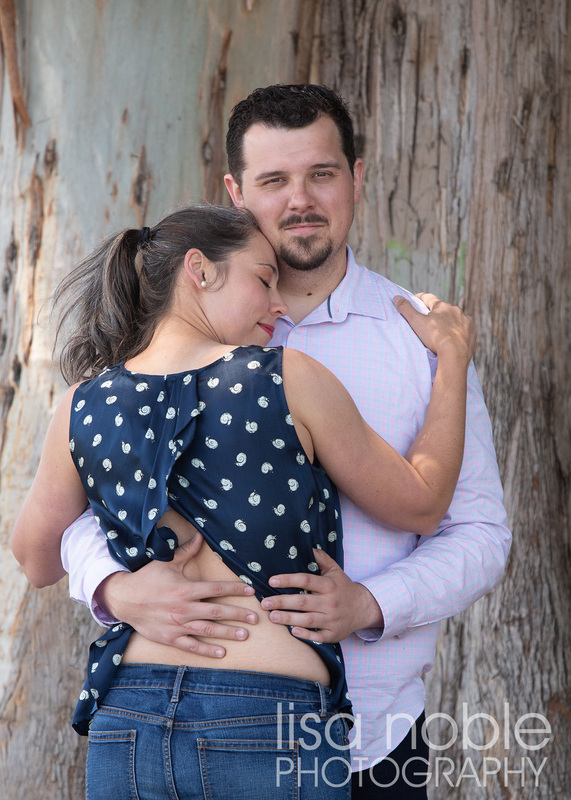 Along the way I saw a few pockets of gorgeous flattering light so we grabbed some wonderful dramatic shots. 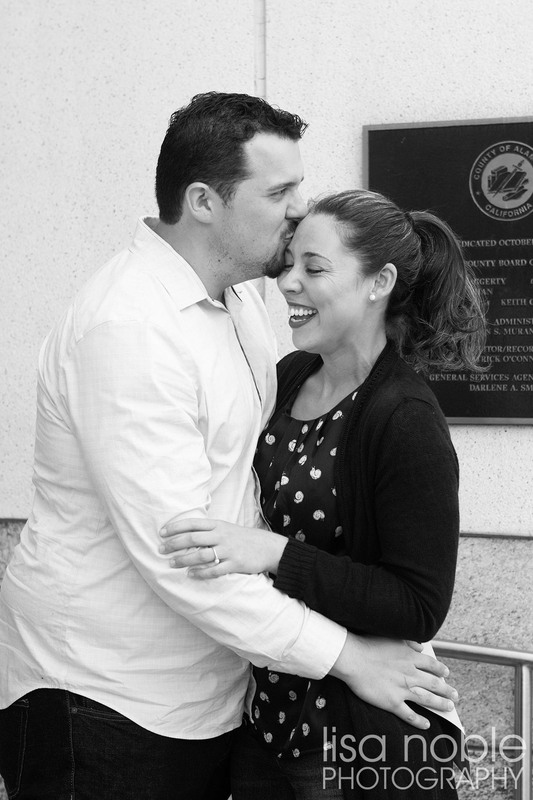 We arrived at the Lake at high noon – the toughest time of day for a photographer. I knew I was going to have to work to find the best places for the most flattering light. 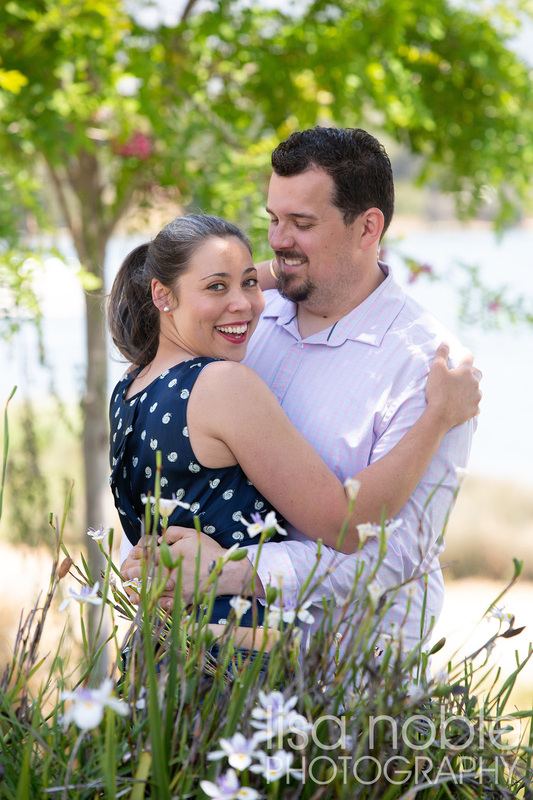 I did find gorgeous light and my couple had fun practicing their posing and finding their best angles. 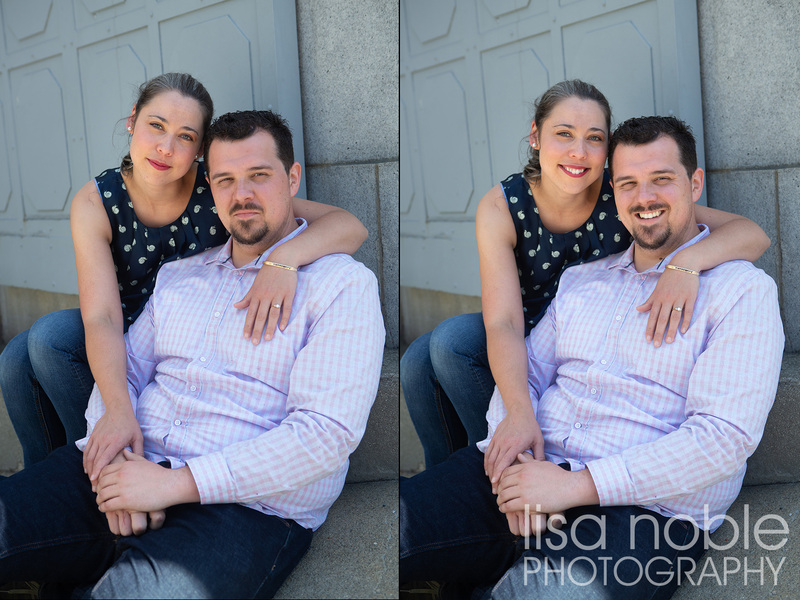 Not only are engagement sessions fun for a couple but they are an opportunity for teh couple to get used to posing together in advance of their wedding. I used my Canon Camera with several lenses. For the indoor shots there was enough light for me to go without flash (using my 24-70 2.8 lens), although I did have one packed in my bag, just in case it was needed. Outdoors I mostly used my flattering 70-200 2.8 lens. 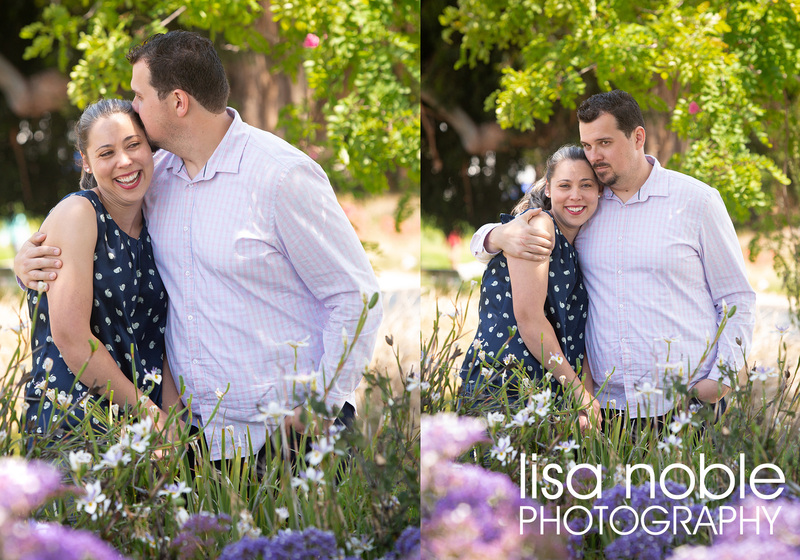 It is a portrait dream! 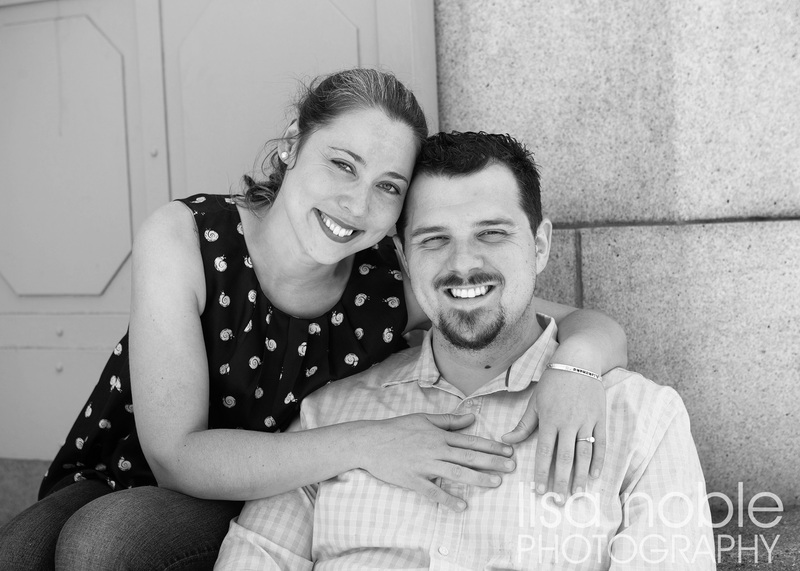 I would love to photograph your engagement session. 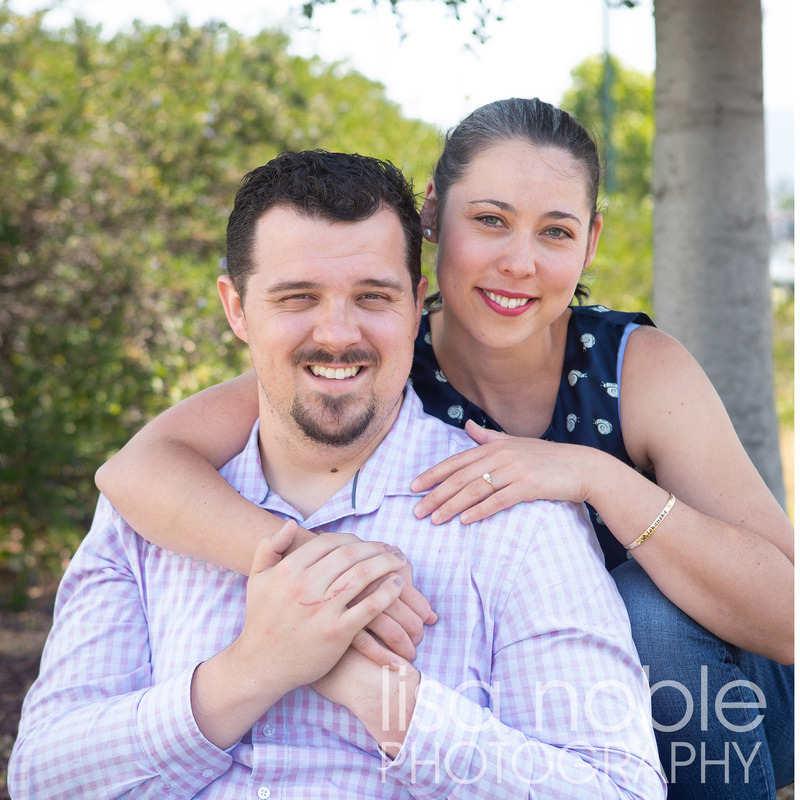 For more information or to book a session, call me at 650 631 8284. 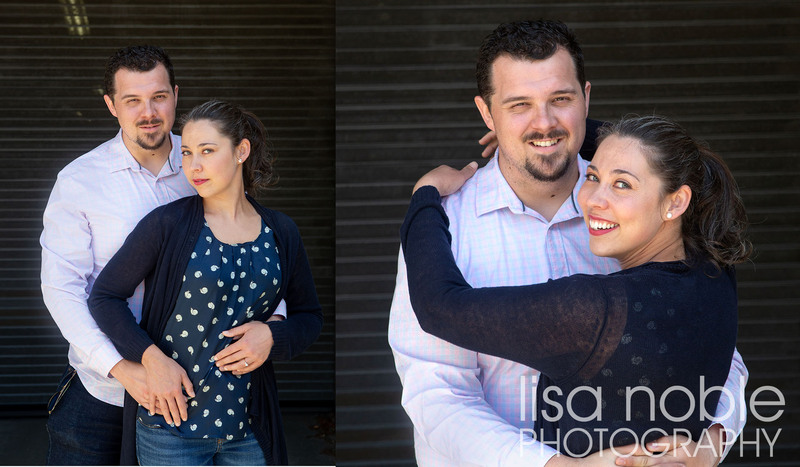 Lisa Noble Photography serves the San Francisco Bay Area specializing in Newborn, Baby, Child and Family photography.